Jasmine Sierra is a student of Spalding University pursuing her MFA in poetry, and in the midst of organizing her first collection, AVOIDANT PERSONALITY. Her work has been featured in Winter Tangerine, Vagabond City Literature, Unrooted, and a host of her college publications. JASMINE SIERRA (she/her) is a queer, polyamorous, black woman and graduate of Oberlin College based in Ann Arbor, Michigan. She is currently attending Spalding University for her MFA, and is focused on completing her first, upcoming collection, AVOIDANT PERSONALITY.She has been featured on The Shade Journal, Winter Tangerine, Unrooted, Blackberry Magazine, Neplanta, and Platypus Press. a 2412 chapbook / Nº4 "With its bewitching imagery and poignant disharmonies, Letters to Ghosts comes as an uncomfortable inquiry into one's identity and how this identity can actually have little or nothing to do with auto-determination." Handmade chapbook edition of 30 containing sixteen original poems. . Cover design was printed on an iron press; all were hand-bound with thread. Outside material is Stonehedge, inside cover is Krafttone French Press paper, all cut to 11 x 8 1/2. Ships only within the United States. A. Imagine this: sitting on the wraparound porch of your grandmother's house in the heat of summer. starting on the porch steps licking popsicles with your best friend. planning cookouts and lazy days in the sun. moving to the porch swing as your knees knock together. waiting to be called in for dinner. 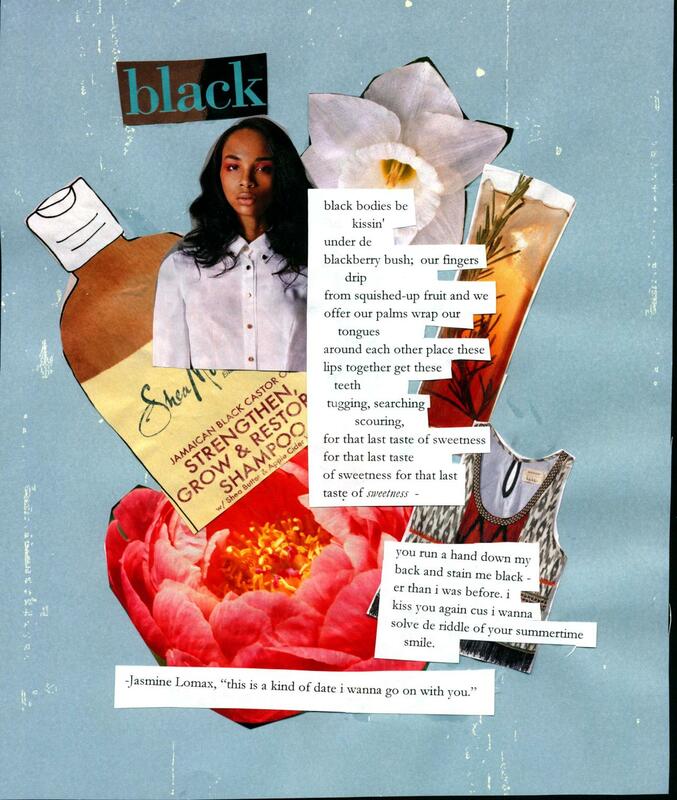 Jasmine Sierra's Paradox reads as a collection of persona poems, each page dedicated to the expression of a single slice of self, the pulsing parts coming together to form a beating, breathing whole. As the name would suggest, it's a glorious study in contradiction: tender and powerful, anxious and queenly, logical and desperate. Devoted to exploring the eccentric and the electric, Winter Tangerine presents an anthology from the winter workshop, WE SWEAT HONEYSUCKLE. names have meaning. you cannot call a rose a poppy and have it be the same. Featured preview of my work in Lydia Haven's Sapphic Zine, set to ship August 20th! what i could not find in fiction, i would make real. five times i think i heard my heartbeat. not ruining myself over your mediocre touch. THE TRUTH OF IT IS. witches don't go runnin' with sharp claws, or sharp teeth. where were you lookin' for happiness? in the bottle? in the bottom of her heart? she always dreamed up shades of blue. i know you wanna blend in but you can't make a wolf out of a sheep. missing from the world, missing from my thoughts. he went missing and never came back.